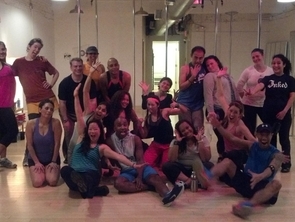 Why We Love It: Seasoned dancers and two left feet-ers alike come out of this class having worked up a great sweat. The instructors will work you hard, but the nurturing atmosphere makes anyone spinning left when they should be swaying right feel inspired to keep at it. Why It's So Effective: Doonya classes keep your body in constant motion, which burns mega calories all hour long. Classes focus on body resistance and muscle control, which together strengthen the core, lengthen muscles and increase stamina. Plus, it's fun! 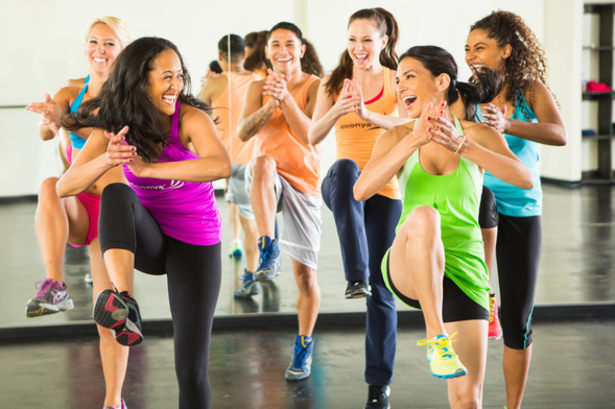 We're firm believers that if you have fun when you work out, you'll work out more! Know Before You Go: Lace up your athletic or dance shoes for class, and be on time: students arriving more than 10 minutes late will not be admitted into class. While changing rooms are available, there are no showers. Don't Miss: Looking for some more fitspo? Check out Doonya’s blog for success stories, playlists, events, inspiration and more. Added Bonus: Get obsessed, then rock the Doonya look! Gear up on Doonya's online store, which offers t-shirts, tanks and tote bags with Doonya's signature pink and green logo. Ready to have some fun? Reserve a class at Doonya today!